-If you have a trade be sure to bring the trade title or bank information for a vehicle pay-off. -Also bring the vehicle registration. 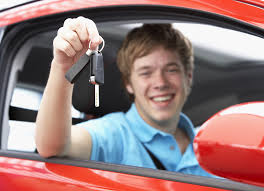 -You will need your driver’s license and the license of anyone who will be appearing on the loan. -Some cases require proof of residency. These include, but are not limited to, mortgage statements, bank statements, and utility bills. -Proof of income is sometimes necessary as well. This includes pay stubs, W2’s or W9’s. -If your name and/or address isn’t the same as listed on your driver’s license, proof of residency will be required. Although gathering these documents can seem strenuous and sometimes unnecessary, these steps help us to keep our customers safe from identity theft and fraudulent purchases. We strive to assist our customers and create a smooth and enjoyable process when it comes to purchasing a vehicle from Wetzel Auto! 0 comment(s) so far on What Should I Bring With Me?